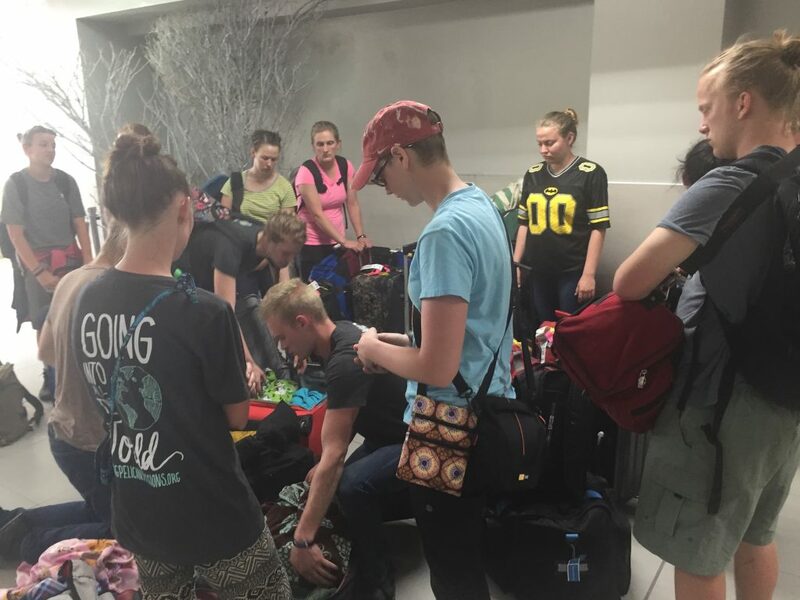 Our missions team is getting ready to come back home today! They are at the airport waiting for their flight and they have a full day of travel ahead of them. Please continue to keep them in your prayers for safe travels and health! Yesterday we went to the beach in the morning and gathered seashells by the seashore! 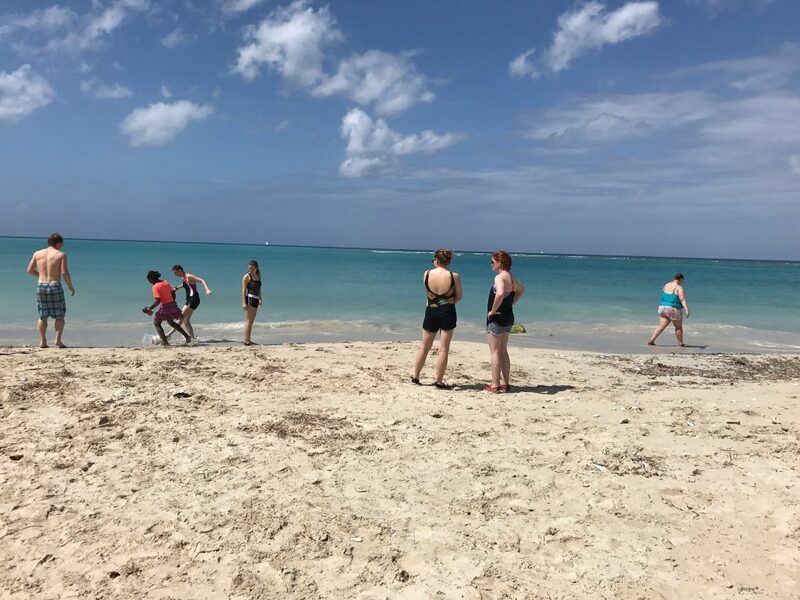 We played frisbee and soccer with some local guys. 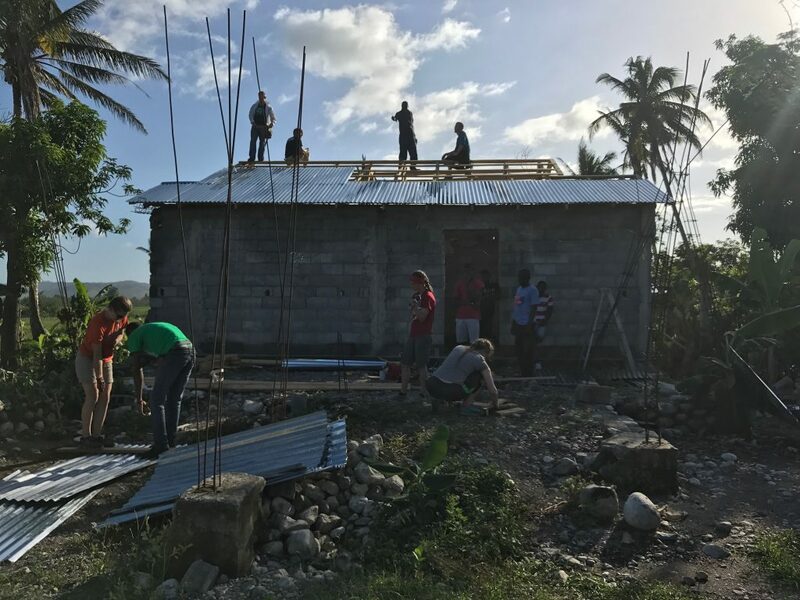 When we got back to the lodging base we broke into construction teams to work on the roof, a kitchen extension, a porch roof and a dog house. We also sent another team into the community to finish planting trees. We bought souvenirs and played with the kids. 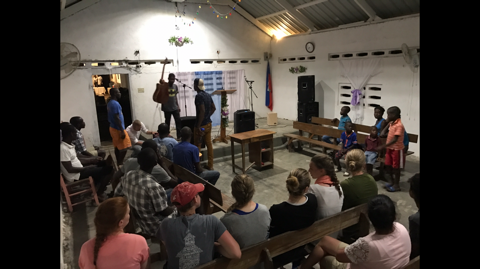 In the evening we had a worship service and got to enjoy a little taste of heaven as we worshiped with two different cultures in one place! Another cool thing was Duncan’s eye got something in it and began to hurt. We flushed it out with some water but it didn’t feel better. Then the team prayed for him and he was all good by worship time! Thank you Jesus! After worship we celebrated Sara Adams’ birthday with a card from the team and corn nuts! It was an amazing day! Thank you for all your prayers. One more day, and then the team goes home! This morning the team had church and enjoyed worship with the locals! 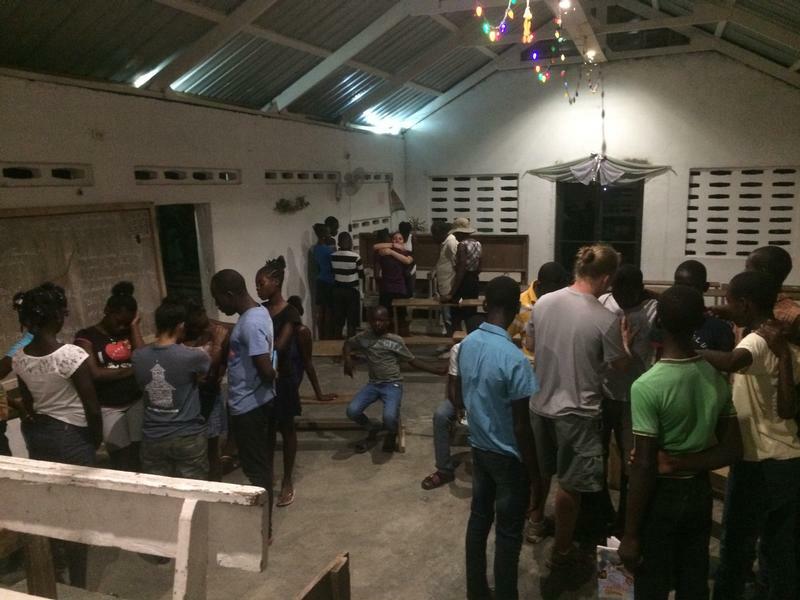 Today is the last full day that our team will have in Haiti! God has done amazing things in and through our team. We are so excited to hear the trip report from our team! 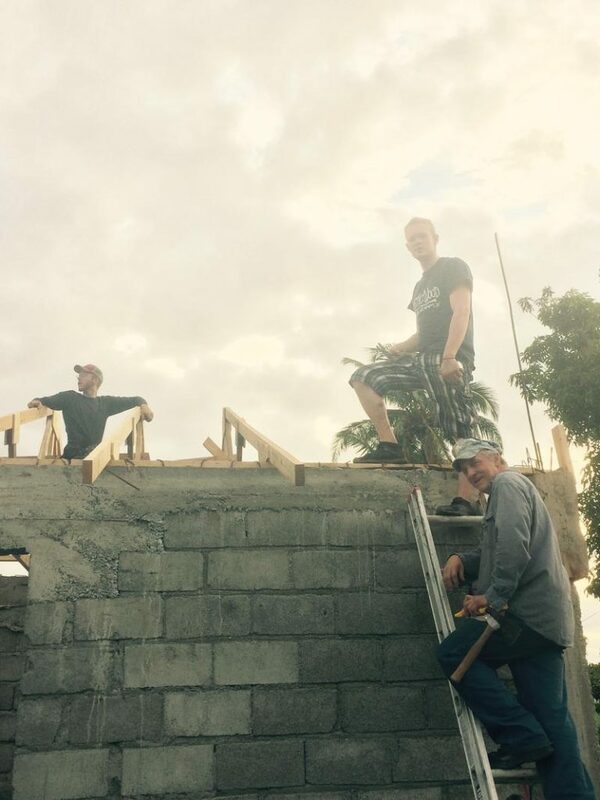 The team is doing great and continuing their construction projects! They were able to get in a little play time at the beach as well! 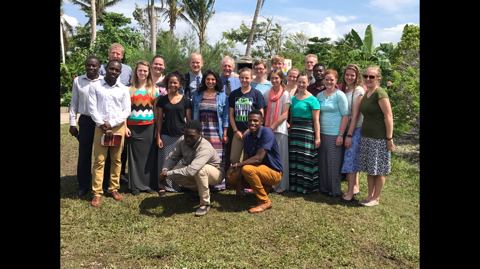 We have so many wonderful people on this missions team! 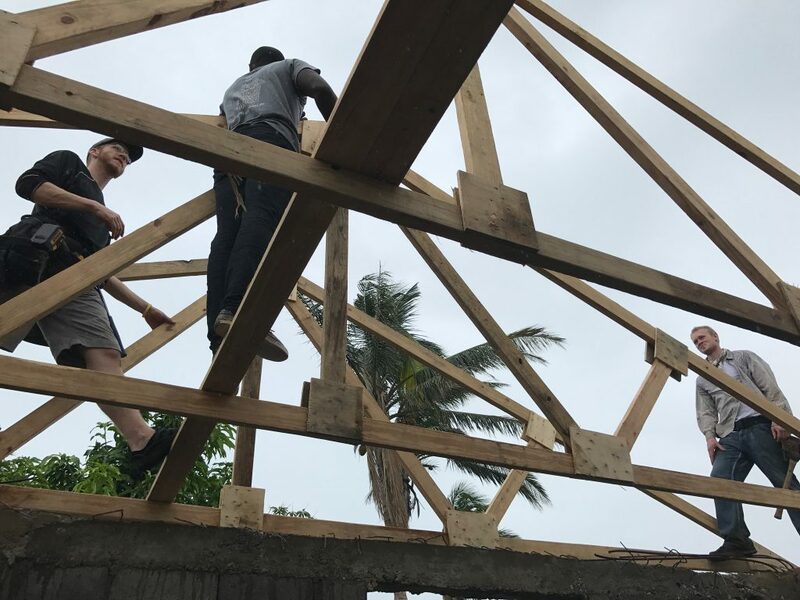 Right now we have a team finishing up the trusses for a roof on a house. 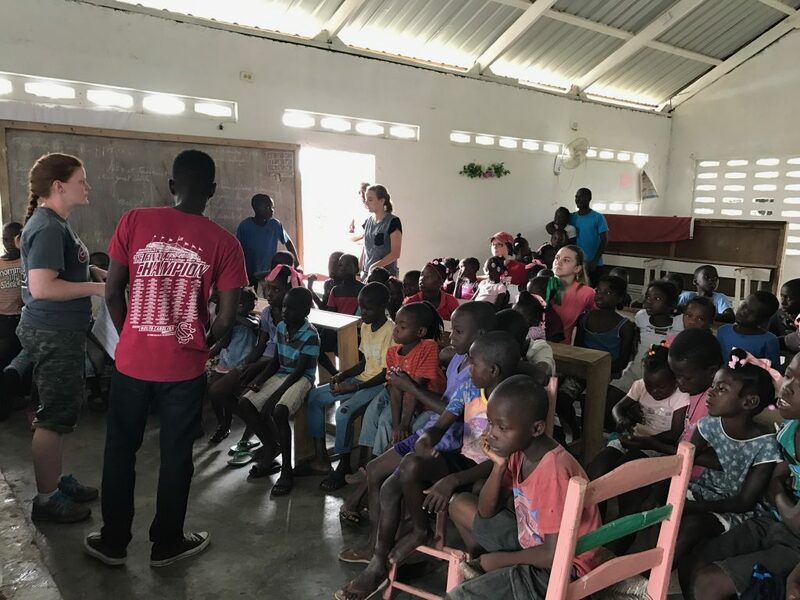 Another team is planting trees and still another team is teaching kids and doing outreach! We are so grateful for the opportunity we have to serve this community. God is working in amazing ways! After lunch, yesterday, we started on construction. Building the rest of the trusses, and we started to hang them. We’re hoping to finish it by tomorrow, and start on a new project. In the afternoon we had a meeting with the teenagers from the community. We had Adriana, Jade and Jesse talking about sexual purity. They each shared their testimonies and prayed over them. It was a powerful moment, watching these teenagers being so confident and willing to let us pray over them. 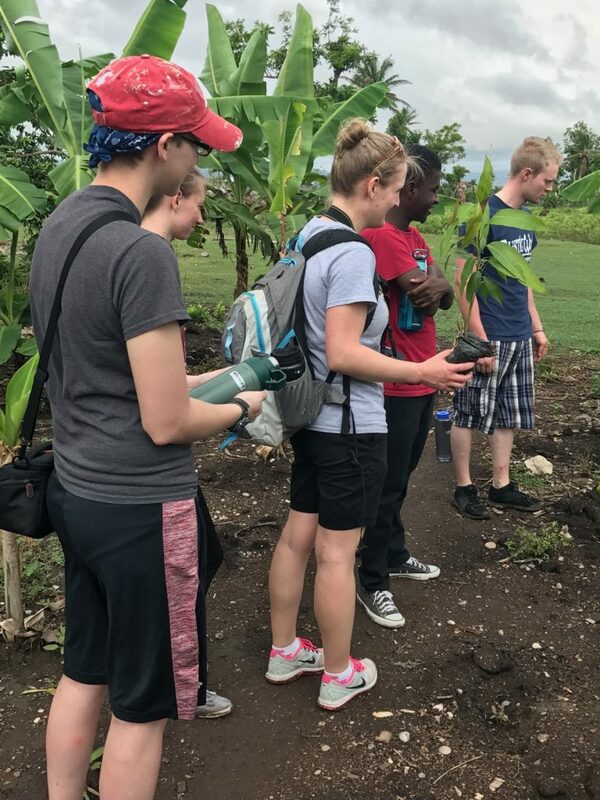 Thank you, Lord, for the work you are doing here in Haiti. Continue to use us as Your vessels!